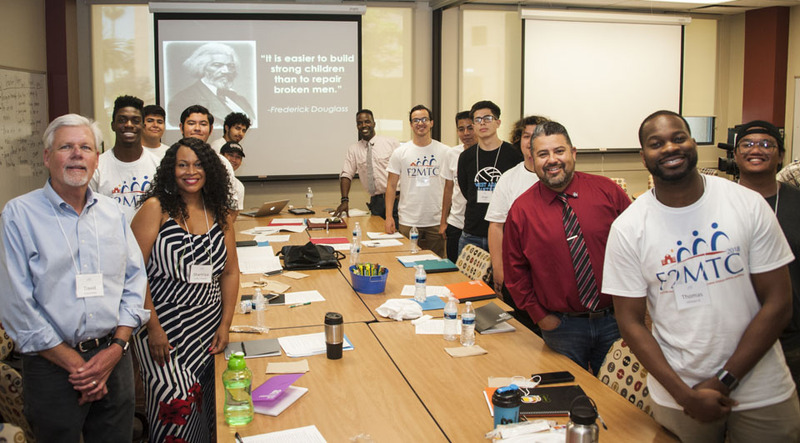 The ​Future Male Minority Teachers of Color cohort visits the CSUN campus for a week of learning about the world of teaching. Photo by Patricia Carrillo. 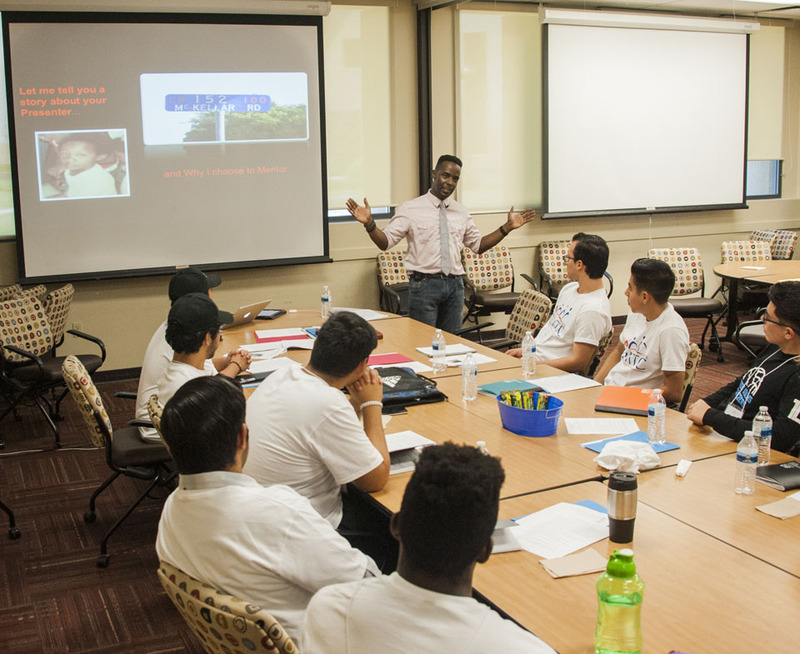 The ​Future Male Minority Teachers of Color cohort learns about the world of teaching. Photo by Patricia Carrillo. The ​Future Male Minority Teachers of Color cohort discusses what they observed during visits to elementary school classes. Photo by Patricia Carrillo. Darryl McKellar gives a lecture on successful lessons in teaching. Photo by Patricia Carrillo. 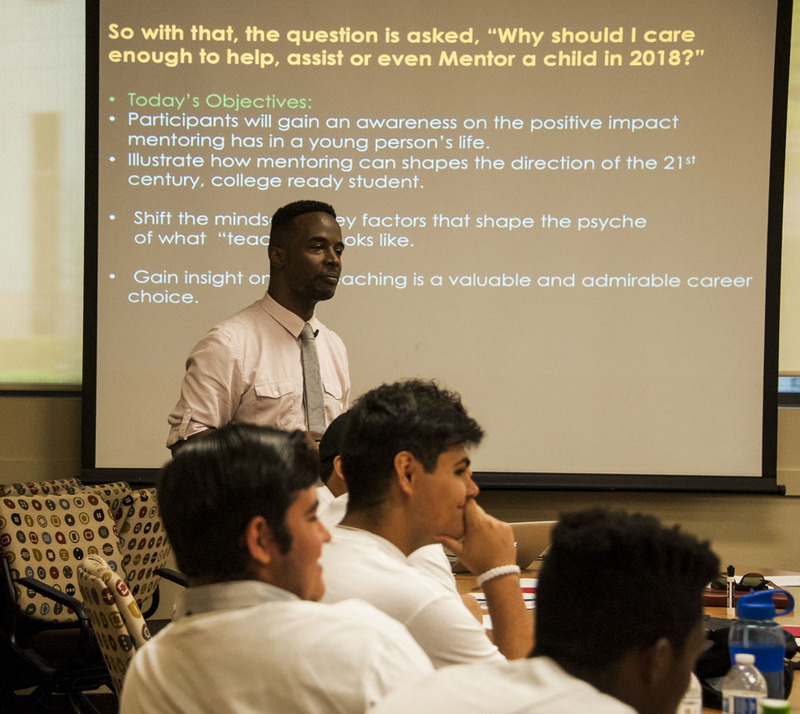 The ​Future Male Minority Teachers of Color Summer Bridge Program fosters an environment to encourage more male minorities to pursue careers as elementary school teachers. Photo by Patricia Carrillo. Darryl McKellar combines mentorship and positivity to give his own personal outlook on the importance of mentorship and teaching. Photo by Patricia Carrillo. This question was posed by Darryl McKellar, a teacher with 20 years of experience in inner-city schools in LAUSD. His primary audience included a group of seven students of various ages, participating in Future Male Minority Teachers of Color (F2MTC). The program’s mission is to create a pipeline for male minorities to become elementary school teachers. 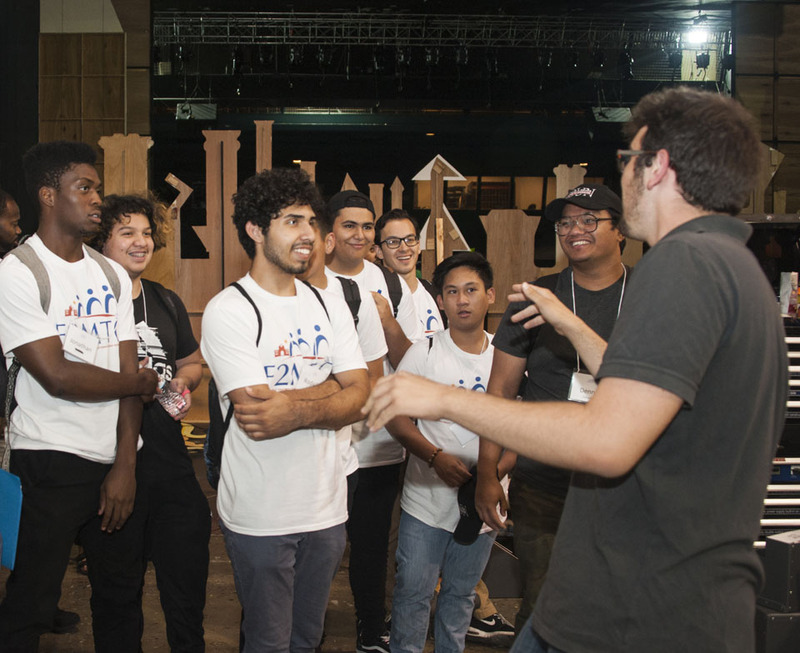 From June 25 to 29, California State University, Northridge hosted a group of high school students and one college student for F2MTC’s summer bridge program. The event featured several workshops, including McKellar’s, which focused on topics such as mentorship, defending a position and teaching methods. Another workshop combined hip-hop and social justice to show the importance of teaching and mentorship through creating various rhymes with positives messages. In the social justice and hip-hop workshop, the students were told to create a rap song about teaching. This technique was used to encourage and educate on various teaching methods. 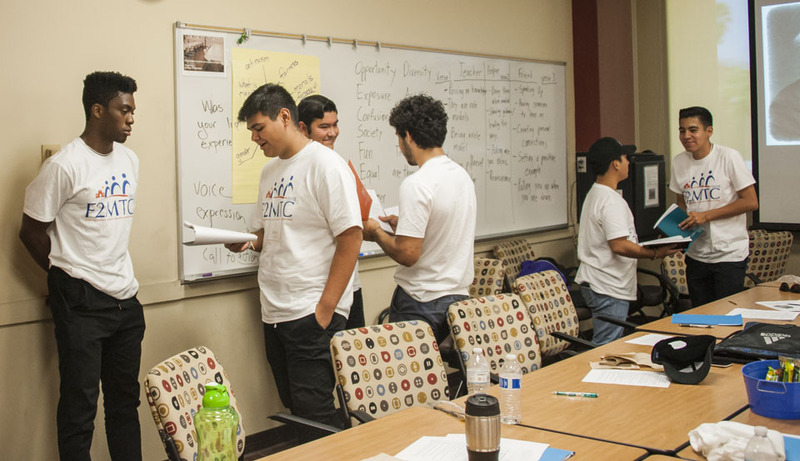 The workshops were full of students eager to learn and mentors eager to teach. Through bonding and mentorship, the experienced teachers are able to build a valuable relationship with the students to promote positive habits and lessons.